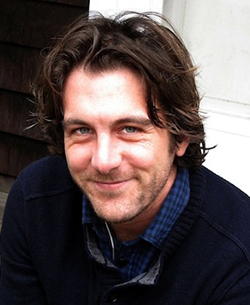 The poet Will Schutt will participate in Syracuse University’s Fall 2014 Raymond Carver Reading Series with a reading Wednesday, Oct. 8, in Gifford Auditorium. A question-and-answer session is from 3:45-4:30 p.m., followed by the reading. Schutt’s poetry collection “Westerly” (Yale University Press, 2013), won the 2012 Yale Series of Younger Poets prize. He also received the Jeannette Haien Ballard Writers’ Prize, a $25,000 annual prize given to young writers for excellence in poetry or prose. Wednesday, Oct. 22: Mary Ruefle, a poet and essayist whose latest collection is “Trances of the Blast” (Wave Books, 2014). Wednesday, Nov. 5: Daisy Fried, a poet whose “Women’s Poetry: Poems and Advice” (University of Pittsburgh, 2013) Library Journal named one of the five best poetry books of 2013. Wednesday, Dec. 3: The novelist Ruth Ozeki, whose most recent work, “A Tale for the Time-Being” (Viking/Canongate, 2013), was shortlisted for the Man Booker Prize.